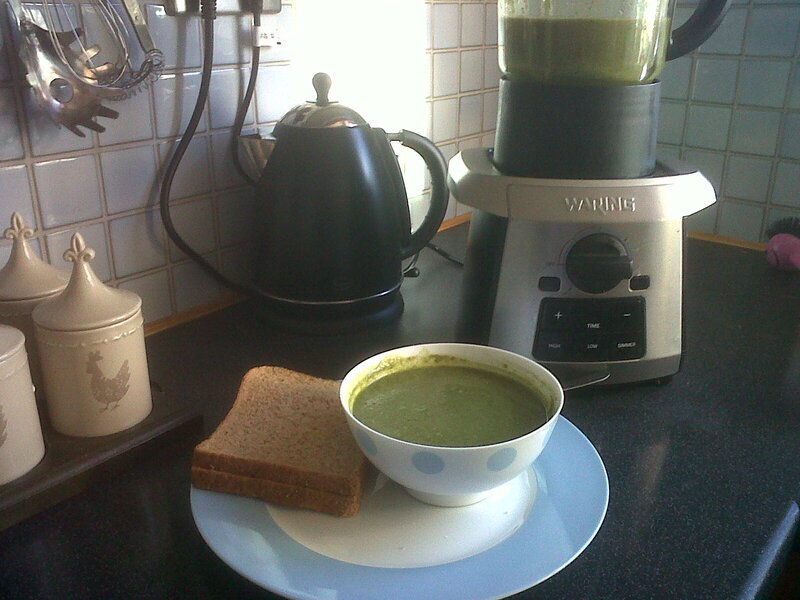 I use a soup maker, but a large pan does just the same job – you’ll just have to transfer to a blender after it’s cooked. 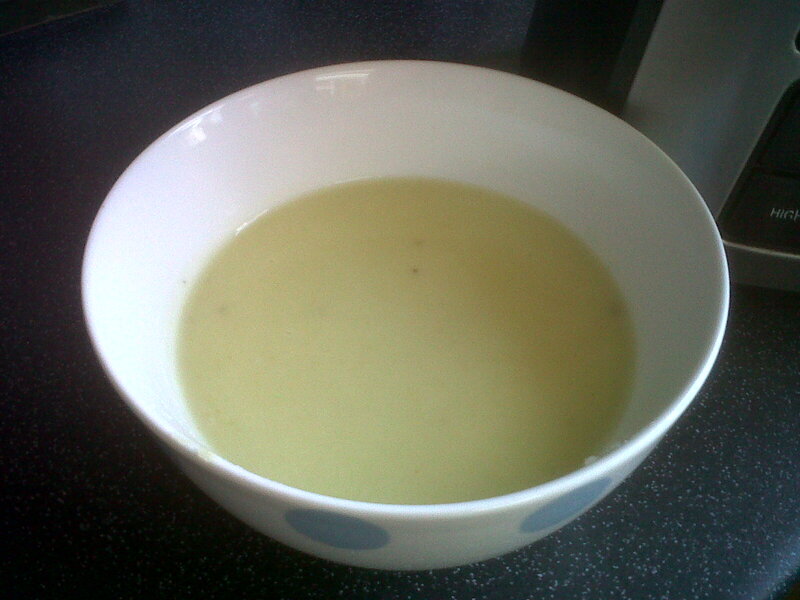 Put the knob of butter in the soup maker on ‘High’, add the leeks, stir and leave to sweat for a minute. Add the potatoes, and add enough stock to make 1400 ml. Simmer for half an hour, then blend until smooth. Stir in a dollop of cream, and season with some freshly ground black pepper and salt. In the spirit of growing your own and trying to be a bit more self-sufficient, I’m always on the lookout for ways to make nutritious meals out of next to nothing. However, as time went on, it turned out to be all leaf and no action – the sprouts growing on it were not tight and nutty, so we ended slapping them around a pie – actually quite tasty albeit odd shaped. I then decided that there was loads more foliage on the plant that might be useful, so hunting around, I came across this recipe: Anthony Worrall Thompson’s sprout and potato soup. As the recipe called for the sprouts to be shredded and then blended, I reasoned that it really wouldn’t matter what shape or size they were at the start. Add the fact that I’d just picked up a bag of potatoes for 15p at the late night Tesco, and everyone’s a winner. Something this colour has to be either extremely good for you, or extremely bad! They say that ‘There’s no such thing as a free lunch’, but I think I’ve nearly cracked that one!